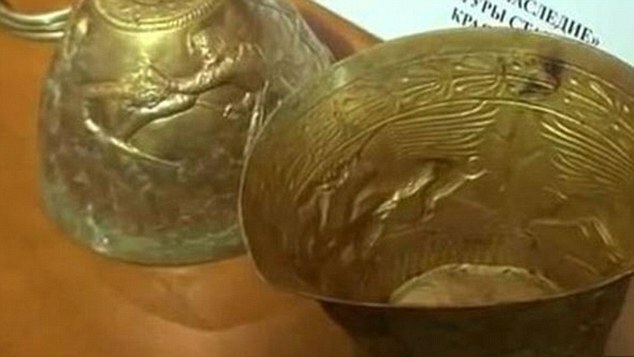 Archaeologists have uncovered two 2,400-year-old pure gold 'bongs' that were used by Aryan tribal chiefs to smoke cannabis during ceremonies. 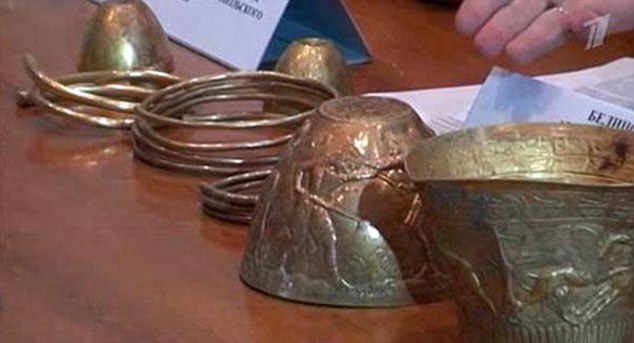 The historic drug paraphernalia was found alongside 7lbs of other gold items when an area of land was dug up in Russia to make way for power lines. They items had been buried in a stone chamber before being concealed by a thick layer of clay. Criminologists have since carried out tests which indicate that the thick, black residue found inside the vessels comes from the cannabis and opium which the tribal royal smoked. 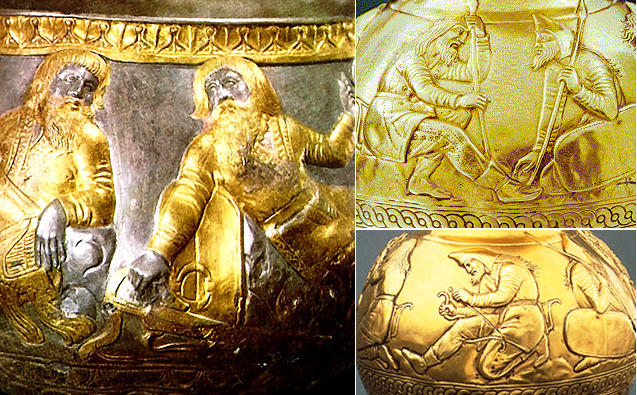 Experts believe the items belonged to the Scythians, a nomadic warrior race who ruled large swathes of Europe and Asia between the 9th century BC and the 4th century AD. It means the so-called bongs could be some of the oldest in existence. Several historians say the Scythians smoked, and sometimes brewed, a strong concoction of cannabis and opium in order to alter their state of mind before heading into battle. Is mankind on the threshold of a new age of enlightenment? Or are we descending a dwindling spiral, doomed to repeat the lessons from history which we either forget or never seem to learn? 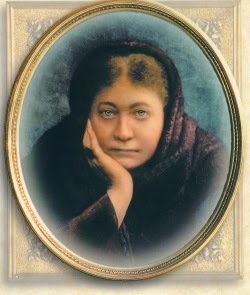 Helena Blavatski, the foundress of the Theosophical Society, described this Vril energy as an aether stream that could be transformed into a physical force. 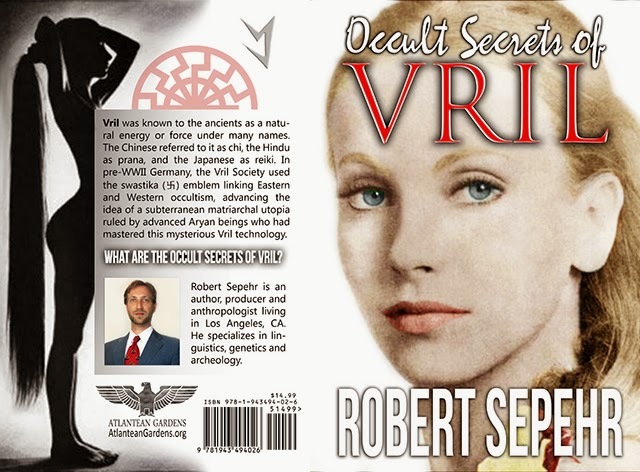 What are the Occult Secrets of Vril? 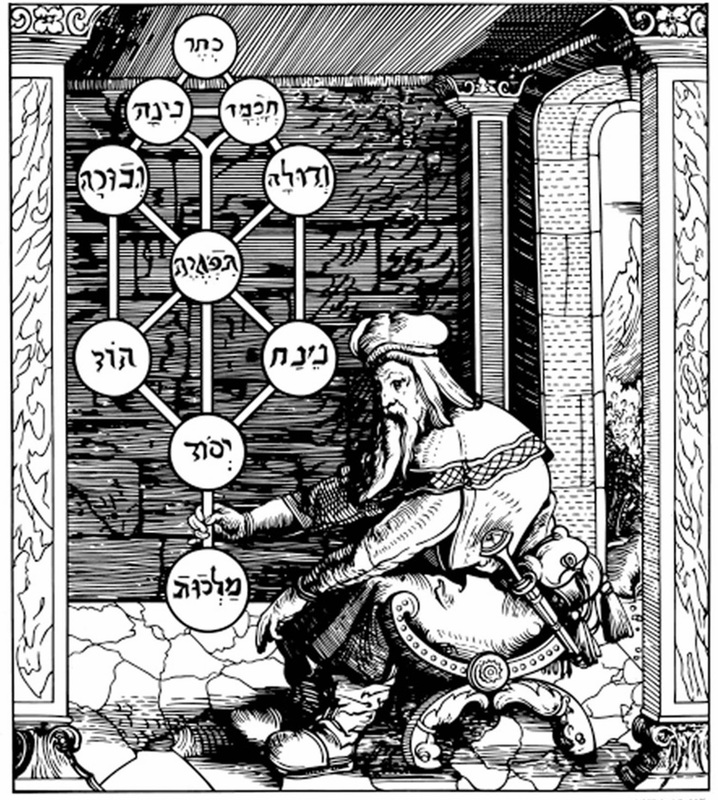 After Sabbati Zevi's death in 1676, his Kabbalist successor, Jacob Frank, expanded upon and continued his occult philosophy. 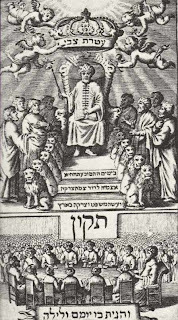 Frankism, a religious movement of the 18th and 19th centuries, centered on his leadership, and his claim to be the reincarnation of the Messiah Sabbatai Zevi. 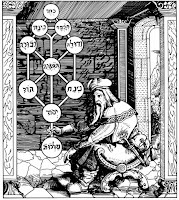 He, like Zevi, would perform "strange acts" that violated traditional religious taboos, such as eating fats forbidden by Jewish dietary laws, ritual sacrifice, and promoting orgies and sexual immorality. 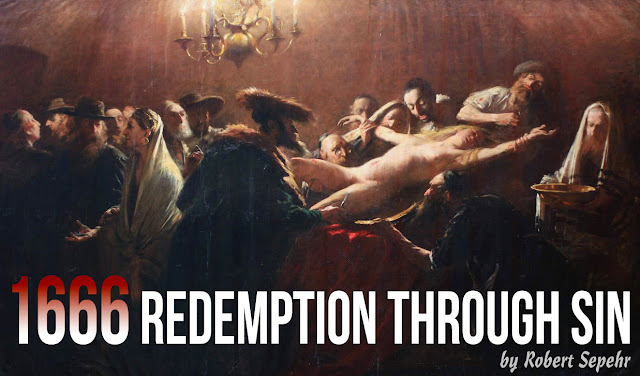 He often slept with his followers, as well as his own daughter, while preaching a doctrine that the best way to imitate God was to cross every boundary, transgress every taboo, and mix the sacred with the profane. 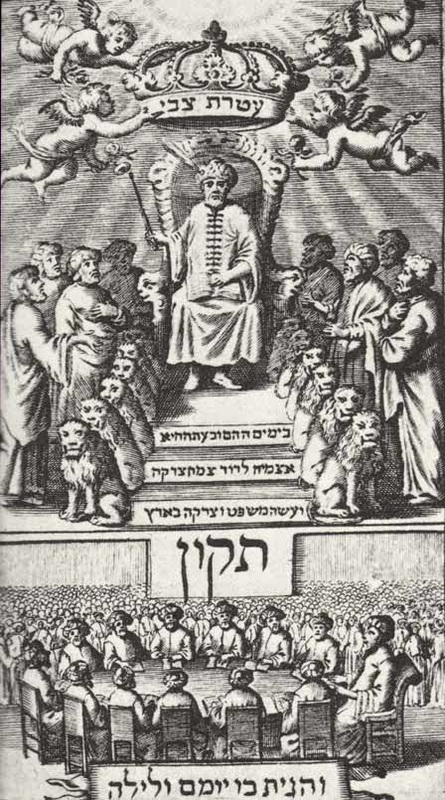 Hebrew University of Jerusalem Professor Gershom Scholem called Jacob Frank, "one of the most frightening phenomena in the whole of Jewish history". 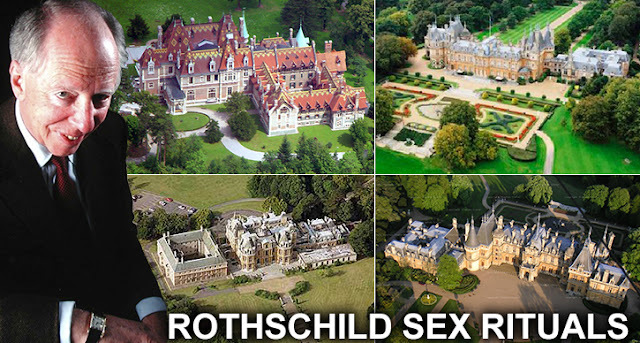 Frank would eventually enter into an alliance formed by Adam Weishaupt and Meyer Amshel Rothschild called the Order of the Illuminati. The objectives of this organization was to undermine the world's religions and power structures, in an effort to usher in a utopian era of global communism, which they would covertly rule by their hidden hand: the New World Order. 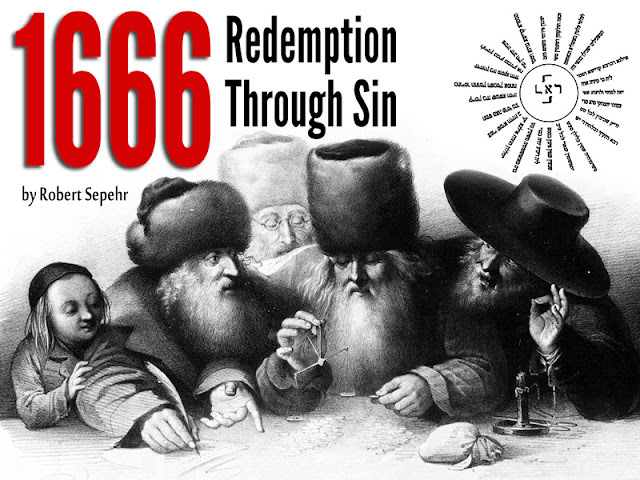 Robert Sepehr is an author, producer and anthropologist living in Los Angeles, CA. He specializes in linguistics, paleogenetics and archeology. “World War I broke out in the summer of 1914. Within two years Germany had won that war: not alone won it nominally, but won it actually. The German submarines, which were a surprise to the world, had swept all the convoys from the Atlantic Ocean, and Great Britain stood there without ammunition for her soldiers, stood there with one week's food supply facing her, and after that, starvation. At that time, the French army had mutinied. They lost 600,000 of the flower of French youth in the defense of Verdun on the Somme. The Russian army was defecting. They were picking up their toys and going home, they didn't want to play war anymore. And the Italian army had collapsed. Not a shot had been fired on the German soil. Not an enemy soldier had crossed the border into Germany. And yet, here was Germany offering England peace terms. 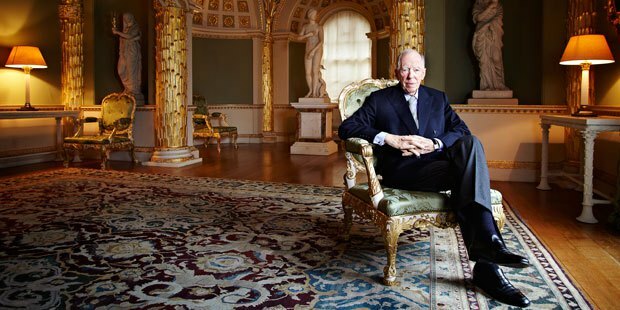 They offered England a negotiated peace on what the lawyers call a status quo ante basis. That means: “Let's call the war off, and let everything be as it was before the war started.” England, in the summer of 1916 was considering that. Seriously! They had no choice. It was either accepting this negotiated peace that Germany was magnanimously offering them, or going on with the war and being totally defeated. "While that was going on, the Zionists in Germany went to the British War Cabinet and - I am going to be brief because this is a long story, but I have all the documents to prove any statement that I make if anyone here is curious, or doesn't believe what I'm saying is at all possible - the Zionists went to the British war cabinet and they said: “Look here. You can yet win this war. You don't have to give up. You don't have to accept the negotiated peace offered to you now by Germany. You can win this war if the United States will come in as your ally.” The United States was not in the war at that time. We were fresh; we were young; we were rich; we were powerful. They [Zionists] told England: “We will guarantee to bring the United States into the war as your ally, to fight with you on your side, if you will promise us Palestine after you win the war.” In other words, they made this deal: “We will get the United States into this war as your ally. The price you must pay us is Palestine after you have won the war and defeated Germany.” Now England had as much right to promise Palestine to anybody, as the United States would have to promise Japan to Ireland for any reason whatsoever. It's absolutely absurd that Great Britain - that never had any connection or any interest or any right in what is known as Palestine - should offer it as coin of the realm to pay the Zionists for bringing the United States into the war. However, they made that promise, in October of 1916. 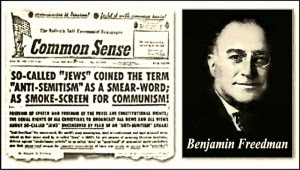 And shortly after that the United States, which was almost totally pro-German - totally pro-German - because the newspapers here were controlled by Jews, the bankers were Jews, all the media of mass communications in this country were controlled by Jews, and they were pro-German because their people, in the majority of cases came from Germany, and they wanted to see Germany lick the Czar. At that time, everything changed, like the traffic light that changes from red to green. Where the newspapers had been all pro-German, where they'd been telling the people of the difficulties that Germany was having fighting Great Britain commercially and in other respects, all of a sudden the Germans were no good. They were villains. They were Huns. They were shooting Red Cross nurses. They were cutting off babies' hands. And they were no good. Well, shortly after that, Mr. Wilson declared war on Germany. "That's how the United States got into the war. We had no more right to be in it than we have to be on the moon tonight instead of in this room. We went in there - we were railroaded into it - if I can be vulgar, we were suckered into - that war merely so that the Zionists of the world could obtain Palestine. Now, that is something that the people in the United States have never been told. They never knew why we went into World War One. After we got into the war, the Zionists went to Great Britain and they said: “Well, we performed our part of the agreement. 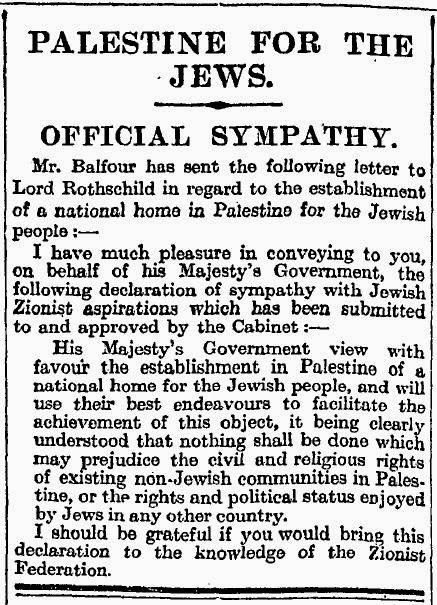 Let's have something in writing that shows that you are going to keep your bargain and give us Palestine after you win the war.” The Balfour Declaration was Great Britain's promise to pay the Zionists what they had agreed upon as a consideration for getting the United States into the war. The United States went in the war. The United States crushed Germany. We went in there, and it's history. "Now, when the war was ended, and the Germans went to Paris, to the Paris Peace Conference in 1919, there were 117 Jews there, as a delegation representing the Jews, headed by Bernard Baruch. I was there: I ought to know. Now what happened? The Jews at that peace conference, when they were cutting up Germany and parceling out Europe to all these nations that claimed a right to a certain part of European territory, the Jews said, “How about Palestine for us?” And they produced, for the first time to the knowledge of the Germans, this Balfour Declaration. So the Germans, for the first time realized, “Oh, that was the game! That's why the United States came into the war.” And the Germans for the first time realized that they were defeated, they suffered this terrific reparation that was slapped onto them, because the Zionists wanted Palestine and they were determined to get it at any cost. "When the Germans realized this, they naturally resented it. Up to that time, the Jews had never been better off in any country in the world than they had been in Germany. The Jews were doing very well in Germany. No question about that. Now, the Germans felt: “Well, that was quite a sellout.” That's how the Germans felt towards these Jews.